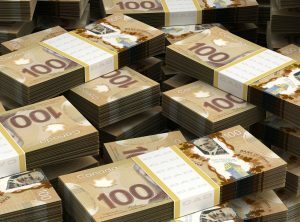 A major investment company is putting 1 million Canadian dollars ($780,000) on the table for aspiring cannabis entrepreneurs in Canada. Canopy Rivers Corp.’s program is open to entrepreneurs looking to access Health Canada’s proposed new licenses for micro-cultivation, nurseries, industrial hemp, processing, analytical testing, retailers and other emerging segments. “This is a way to help support a lot of the up-and-coming entrepreneurs in the industry,” Daniel Pearlstein, head of business development for Toronto-based Canopy Rivers, told Marijuana Business Daily. Canopy Rivers is a partly owned subsidiary of integrated medical cannabis producer Canopy Growth, which is traded on the Toronto Stock Exchange under the symbol WEED. Under the current regulations, medical cannabis producers must be vertically integrated – they are required to produce, process and ship the cannabis directly to patients. That leaves little room for specialization. “The proposed regulations will allow for different kinds of businesses that will segment the value chain and fragment the parts of businesses where companies can specialize in unique verticals,” Pearlstein said. The CA$1 million being offered by Canopy Rivers could be divided among a number of companies, depending on the quality of the applicants. So what’s Canopy Rivers looking for? “Ultimately it would have to come down to a unique set of people with a defined vision for their business plan,” Pearlstein said. Potential entrepreneurs can apply at the Canopy Rivers website. From there, some will be invited to pitch their ideas in front of a panel of industry professionals and representatives.